Aside from being in complete shock at what just happened on the pitch with my beloved Azzurri, I am, of course crushed that they are going home early. Again. And while Azzurri fans everywhere look for someone or something to blame, try to interpret players’ intents or argue about formations and lineups, a bigger weight is on my shoulders. Fair play. You can argue until you are Azzurri blue in the teeth that Italy could and should have played better, Prandelli’s selections and tactics were poor, or whatever. But you can’t argue that the referee’s decisions and a pure lack of fair play were the game changer on this one. So Italy go home once bitten, twice shy. The agony of defeat? Or of unfair play? My first beef with the referee in this match was watching the lack of calls in the first half. He never controlled the game. People argue ridiculous things about Balotelli or claim to know what is going on in his mind, but the fact is he was fouled. A lot. And not called. And he was not alone. There was a lot of physical play on both sides that went unchecked. 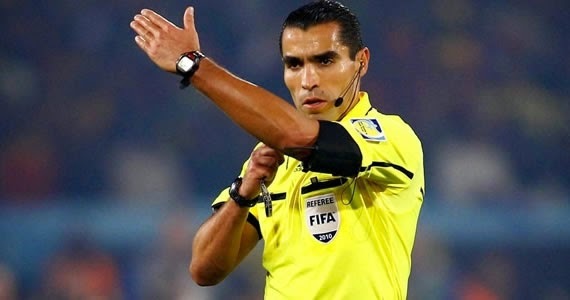 Strike one to referee Marco Rodriguez. A lot of people are questioning the referee’s red card call on Marchisio’s tackle. Upon slow-motion video review, he was right, it had the elements of a red card. It can be argued that he made the right call. However, it can also be argued that he made the wrong call. That the red card was excessive, particularly at that point in the game, with Marchisio not on a yellow, etc. Referring back to my first point, that he wasn’t calling virtually anything, then it definitely was harsh, and should have perhaps been a card of another color. Either way, Rodriguez’ decision put Italy down to 10 men was the very thing Prandelli subbed Balotelli off for. And Balotelli, of course, was subbed off because he risked getting the calls no one else was getting. The irony is just too much here. Then Señor Rodriguez faced a cumulative result of not keeping the game in hand: an incident where a player completely lost it and did something unthinkable. Suarez bit Chiellini. Well, except in this case, it was thinkable, this was the third time he had done this in a football match. Rather than consult with the linesman who was right there, who seems to have raised a flag on all of the video replays, or look at the bite marks on Chiellini’s shoulder, or do anything at all about this deplorable situation, he let the game go on. And the set piece right after that was when Uruguay, still on 11 men because of his non-call, scored on Italy, who were on 10 men because of his harsh call. That goal decided the match. Italy had only needed a draw to go through, which they were still clinging to when Señor Rodriguez did absolutely nothing in the absolute worst disciplinary issue of this World Cup. You can argue that Italy should have played better, you can argue that Italy should have solidified their spot prior to that moment, and it’s true. Certainly the team will go back and look at their mistakes. But what you cannot argue is that there was a disciplinary issue that was not addressed by the referee, the player was not sent off, and that team scored with that advantage. And when Chiellini showed the ref this, an Uruguay player pulled his shirt back up. Nice. This isn’t about football anymore. Luis Suarez needs a lifetime ban and some serious mental help if, as a grown man, he is still biting people. The referee did a terrible job at controlling that match, and made at least the one crucial error when he kept Suarez on the pitch after biting someone. 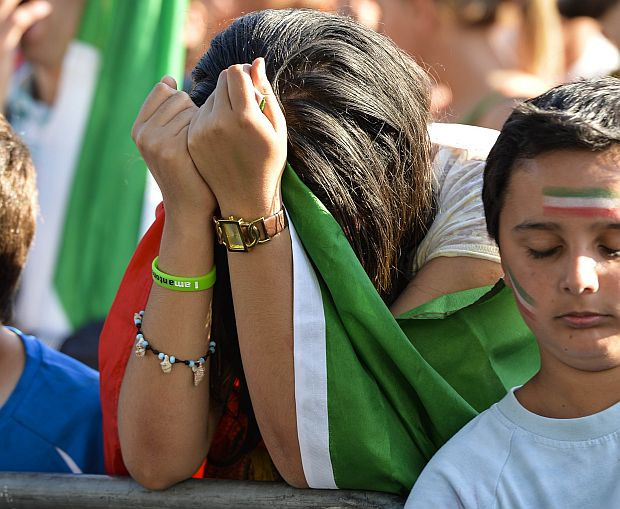 Whatever you want to think about all of the other moments of the World Cup for Italy, that moment ended up deciding their fate, and that should never happen. After a match like this, we should be talking about the world class football, not discipline. Italy are going home after the group stage for the second tournament running, arguably on their own merits. But Chiellini will be getting some shots and have a bite mark that will remind him of the lack of fair play that made the decision for him. No one should have to go home like that. That is not fair play, FIFA. Once bitten, twice shy.